It feels like summer has been here forever already, but it’s only the start. This heat makes me think of comfortable clothing, cool drinks, and barbecue. 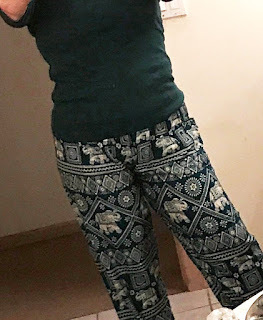 I will be wearing these One Tribe Elephant Harem Pants a lot this summer. They are cool and comfortable. At first, I was looking at them to just wear over my bathing suit, but I got so many compliments on them I’ll be wearing them out. As if the comfort isn’t enough, there are other reasons to purchase from One Tribe. Products are made in Thailand by local workers paid a fair wage. Also, for every pair of elephant pants sold, the company makes a donation to the Elephant National Park in Chang Mai, where they rescue endangered animals. In the 2017 Harris Poll, Five Guys dethroned In-N-Out as America’s Favorite Burger Chain. It’s the burger that’s the star here and that comes from Schweid & Sons, a family run ground beef company now in its fourth generation. Schweid & Sons sent me a selection of their burgers (Brisket Blend, One Percenter, and Sliders) to try out for myself and I can definitely see how they won the top spot. The Brisket Blend, moist and flavorful, even well-done, was my favorite, but they were all delicious. 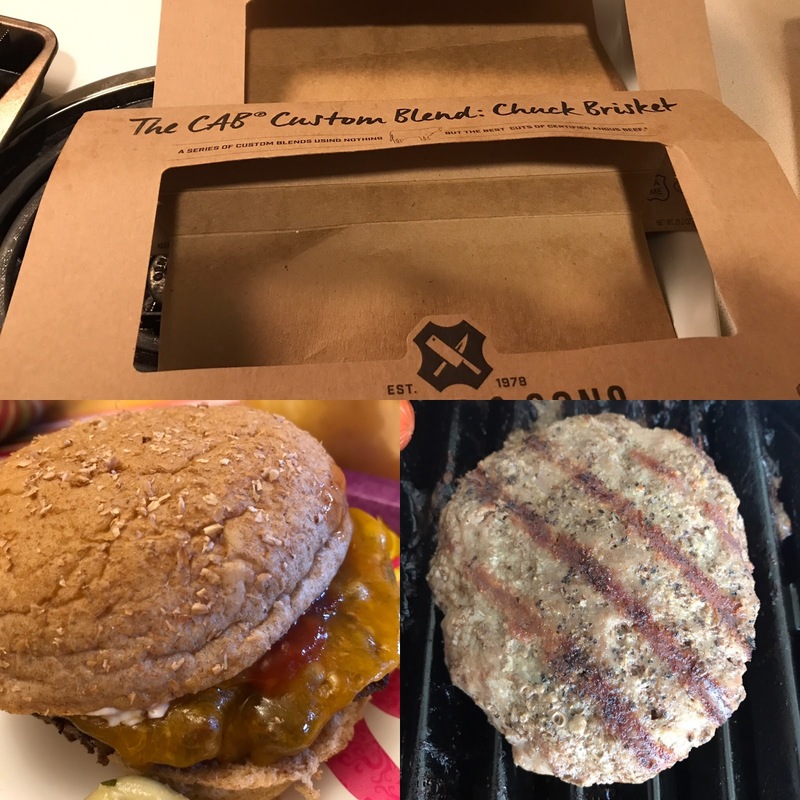 If you’d like to cook these burgers yourself instead of going to Five Guys, you can buy them at these stores. 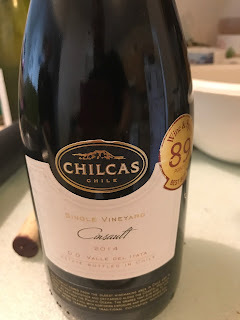 If you are looking for something to drink with those burgers, my summer red is Chilcas Single Vineyard Cinsault 2014. This Chilean wine is tasty, fruity, with a bit of dry oak. It’s also under $20 a bottle. You won’t find a shortage of vodka in the liquor aisles, but not many are gluten-free. Devotion Vodka are gluten-free, as well as under 100 calories. 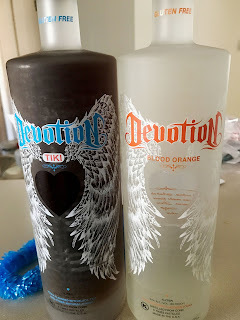 They sent me the Devotion Blood Orange and the Tiki to try. I brought them out to a pool gathering. The Blood Orange was an instant hit, straight, with Coca-Cola, and sprite. The ideas for cocktails were flowing from all my friends. The Tiki (Black Tea) was not what we expected since most tea vodkas tend to be sweet. This one is much stronger and more tart than sweet. It worked with a sweetened iced tea (if you want to do a little spiking), or a citrus soda. Lemonade is another option, if you don’t like sweet drinks, but this isn’t a vodka I’d enjoy straight. I’ll occasionally drink a glass of moscato, most likely as dessert. When Oliver Winery sent me their Cherry Moscato, I thought it would be even sweeter than the ones I already consider dessert. I was wrong. 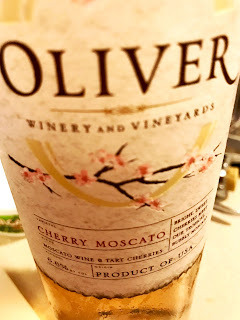 Oliver Cherry Moscato, which you need to serve well-chilled, is my perfect summer wine. The 2016 Indy International Wine Competition winner is filled with fresh cherry flavor, which actually brings down the sweetness of the moscato. At $12 a bottle, this is the wine you should bring to every picnic and barbecue.